Ashikin Johari: It's a BUG?? 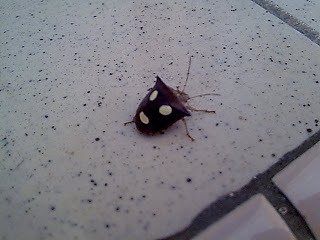 hey, i found this lil creature in front of my hse door ths morning..
mcm cool gle kn??. or rather i say unique?? it's like it wearing a face mask.. hehe.. I shop till i Drop. oops!